Why are people on the internet claiming the Babadook is an LGBTQ icon? If you’ve spent anytime on social media recently, you might have noticed that people have been hailing a new LGBTQ icon: The Babadook. So far so scary, right? So why, then, are people decrying a horrifying monster that attacks hapless individuals as an LGBTQ icon? Well, it all begins with Netflix and a Tumblr post. According to The Independent, things got tricky when Netflix’s algorithm accidentally tagged the movie under it’s LGBTQ section. From that moment, people slowly began to adopt the monster as holding some significance to the LGBTQ community. 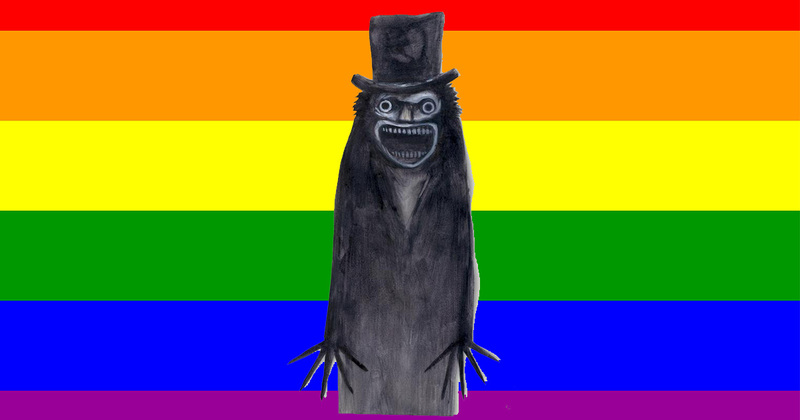 In fact, people on Tumblr began trolling people by insisting that the Babadook was, in fact, gay. The meme has spiralled out of control since then. In May, DJ Mikey Pop made a meme as if the creature had been competing in RuPaul’s Drag Race, and it was hilarious. Now that it’s Pride month, a celebration of LGBTQ individuals all over the world, the meme has taken on a life of it’s own, and people on Twitter are LOVING it. Some people even looked at the meme rather poetically. Gay people identify with monsters because we grew fearing we might be one okay Carlos just shut up and enjoy the stupid Babadook meme. Others soon realized the the B in LGBTQ didn’t just stand for bisexual but also Babadook. And they’re honoring him in important ways.